This natural, luscious, ultra-lightweight treatment offers an exotic blend of botanical actives, emollient oils, and is enriched with hydrating honey to strengthen, replenish, and revitalize the look of hair with natural softness and shine. 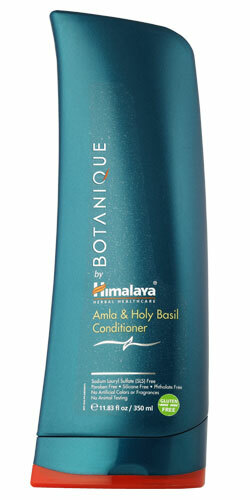 Enhances the manageability and softness of hair. Gluten Free, Paraben Free, Sulfate Free, Phthalate Free, and Cruelty-Free. NO artificial coloring or fragrances. Water (aqua), Vegetable Glycerin (from vegetable oils), Cetearyl Alcohol, Cetearyl Glucoside (from coconut oil and sugar), Sorbitan Stearate, Sucrose Cocoate (from vegetable oil, sugar, and coconut oil), Cocos Nucifera (coconut) Oil*, Cetostearyl Alcohol (from coconut oil), Stearic Acid (from vegetable oils), Hydroxypropyltrimonium Honey (from honey), Glucose, Fragrance (from essential oils), Potassium Sorbate, Sorbic Acid, Ricinus Communis (castor) Seed Oil*, Olea Europaea (olive) Fruit Oil*, Theobroma Cacao (chocolate) Seed Butter*, Citric Acid (found in citrus fruits), Tocopherol, Benzyl Benzoate#, Benzyl Salicylate#, Origanum Majorana (sweet marjoram) Leaf Oil*, Glucose Oxidase, Lactoperoxidase, Ocimum Sanctum (holy basil) Leaf Extract**, Eclipta Prostrata (eclipta) Extract**, Phyllanthus Emblica (amla) Fruit Extract**, Sapindus Trifoliatus (soapberry) Fruit Extract**, Rosmarinus Officinalis (rosemary) Leaf Oil**, Cymbopogon Flexuosus (East Indian lemongrass) Oil**, Rosa Centifolia (cabbage rose) Flower Extract**, Vetiveria Zizanoides (vetiver) Root Oil**.